Hi there, friends! I had the most fun day yesterday in Manhattan. My awesome friend Justin and I paid a visit to The Ink Pad, had some lunch, then headed over to the Mama Elephant stamp show. I promised myself I would only buy a few things, but who was I kidding? Later on that evening I met up with my son David and his girlfriend Ally to walk around a bit and then have some dinner at Swine NYC. I know, not the most attractive name, but the food was amazing. 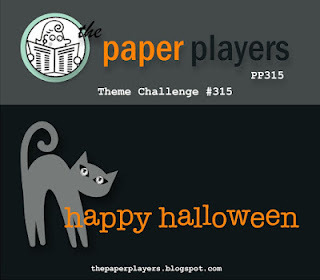 Today at The Paper Players, the wonderful Claire is our hostess and she has chosen Happy Halloween as our theme challenge. As soon as I saw the kitty in the challenge badge I knew exactly what I would be making. I purchased this stamp set on sale after Halloween last year and this is the first time I'm inking it up. I love the adorable kitty in a pumpkin and had lots of fun coloring it, though I needed to do a couple of practice runs first. I wanted to get the shading just so and I'm happy with the way it came out. A few more simple layers and some sequins, and this card was done. 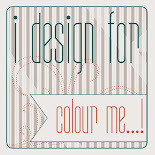 I'm also playing along with the Anything Goes challenge at the Simon Says Stamp Wednesday Challenge blog. I wasn't too bad yesterday. You had to see how much other people purchased! Can't wait to dive into my new goodies and share my creations with you. Thanks for stopping by! 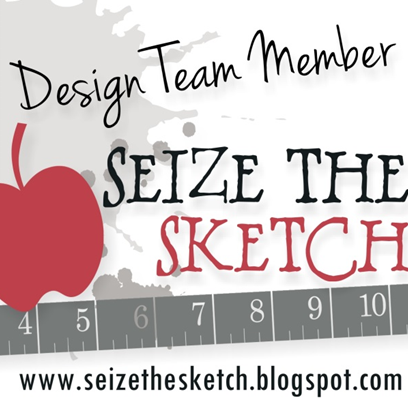 Please visit the rest of the Design Team at The Paper Players, and we hope you'll play along with our challenge this week, too! Fantastic card, Sandy! I like the layers and the coloring!! I LOVE seeing other peoples shopping stash...looks like a great haul! Sounds like a fun time,too. Your kitty is adorable..such a cute card Sandy! 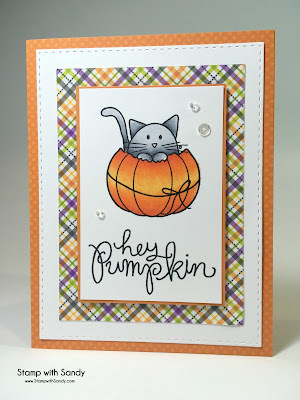 Love your kitty in a pumpkin! 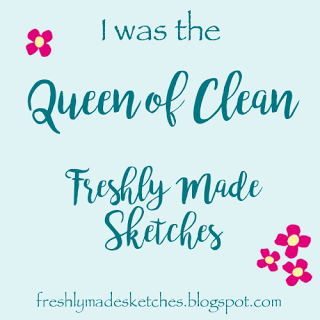 And I can't WAIT to see your new stash being put to good use! 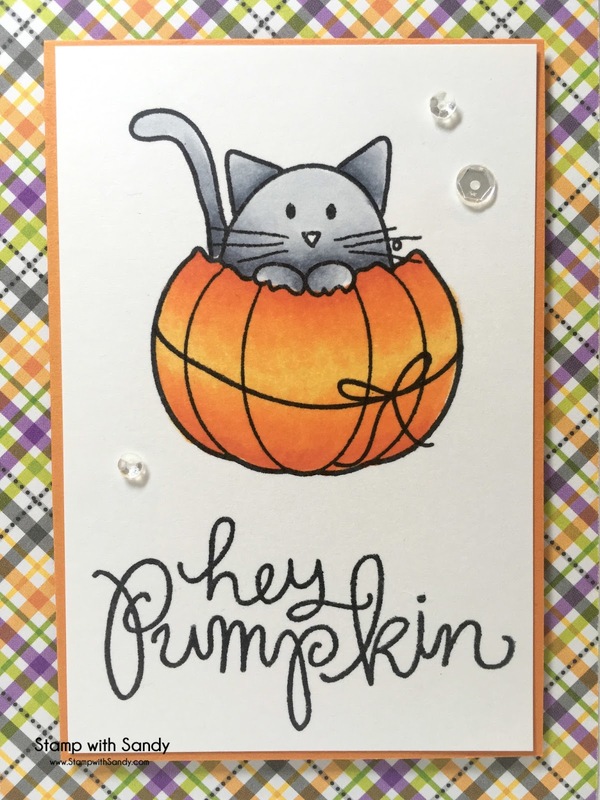 Such a sweet Halloween card, Sandy! Fantastic coloring and I love the pop of plaid paper. So happy you had a day of fun! 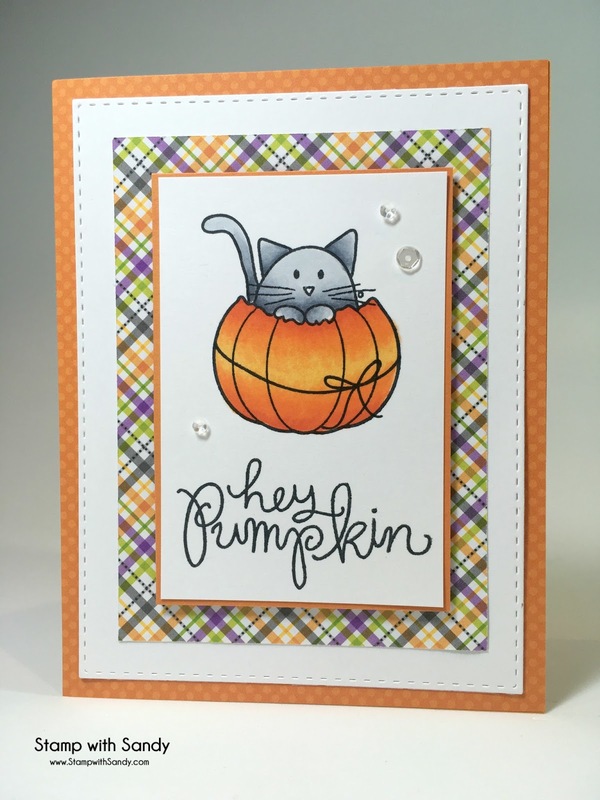 First off...that kitty is adorable and so is your card! Love that DP!!! Second, sounds like an awesome day and what a loot of goodness you have to play with! Enjoy! Oh, Sandy I love your card this week. Super coloring! I also really like the layout. Glad you had a good time with Justin at the Mama Elephant event. This is adorable! Super cute! Thanks so much for playing along with us over at the Simon Says Stamp Wednesday Challenge! Is pork their specialty, tee hee? Can't imagine why else they would have a name like Swine. Something you won't forget, I guess! Hey, love your cutie patootie Halloween card! Kitties and pumpkins and plaid is always good in my book. Such a fun haul from the show! I was out shopping on Monday, but only small things as I just cleared out my stamp room. 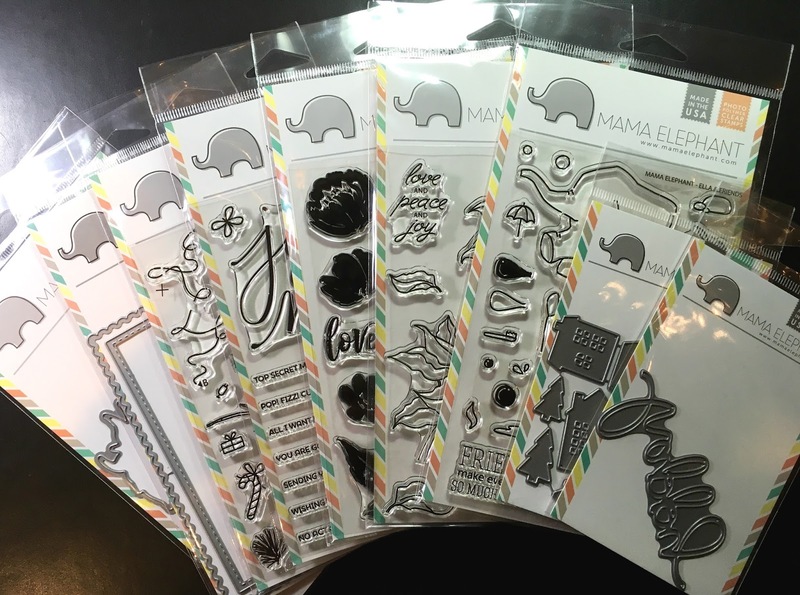 Can't resist a few dies and glitter, though. Okay, two stamps, also. Sheesh! Adorable card! Your coloring is spot on! and sounds like you had a fun shopping day! Such a cute card! Love the stamp (colored beautifully) and the paper choice is fantastic.